This is the announcement that everyone has been waiting for! David Wolfe is coming back to Australia in February 2011 for a tour that is going to bigger and better than this year’s tour, which was a huge success! Listen to the 19 minute interview I did with David about the upcoming tour, and hear what he has to say about Australia, and how he can’t wait to come back! Make sure you become a fan of the 2011 David Wolfe Australian Tour on Facebook to stay updated on all the latest information about the tour. With lectures and full day workshops in Brisbane & Melbourne, a full weekend extravaganza event in Sydney, a Raw Cacao Ecstatic Dance Party, three exclusive up close and personal soirées, an afternoon talk in Byron Bay, and an amazing Yoga & Surfing Retreat in WA – there is enough David Wolfe going around to inspire Australia to make this the BEST TOUR EVER! Tickets for all events are best purchased prior to the event by booking online at this site. There is no doubt these events are going to be a sell-out, so we can’t guarantee there will be any tickets left for purchase at the door. Don’t miss out and secure your place by booking online NOW! If you book to come to the Sydney Weekend Conference or the Melbourne Workshop in the next 30 days, you will go in the draw to win a ticket to either the Sydney Harbour Cruise or the Peninsula Hot Springs Trip – these are going to be amazing events, so make sure you secure your place at the events now, and go in the draw to win! 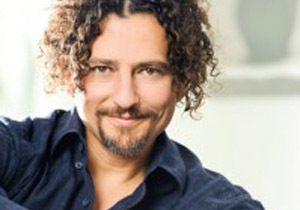 I’ve seen David Wolfe before on naturalnews and I love his talks on superfoods! Very informative. David’s a great speaker and has motivated and inspired a lot of people to improve the food they eat. Hope you get to come and see him on the 2011 tour! Previous post: Is This Food Good or Bad?